Another delight from Chutney’s, an exclusively vegetarian Indian restaurant at 827 Newark Avenue, Jersey City where everything we ordered was tiptop. These are Guntur Idli. 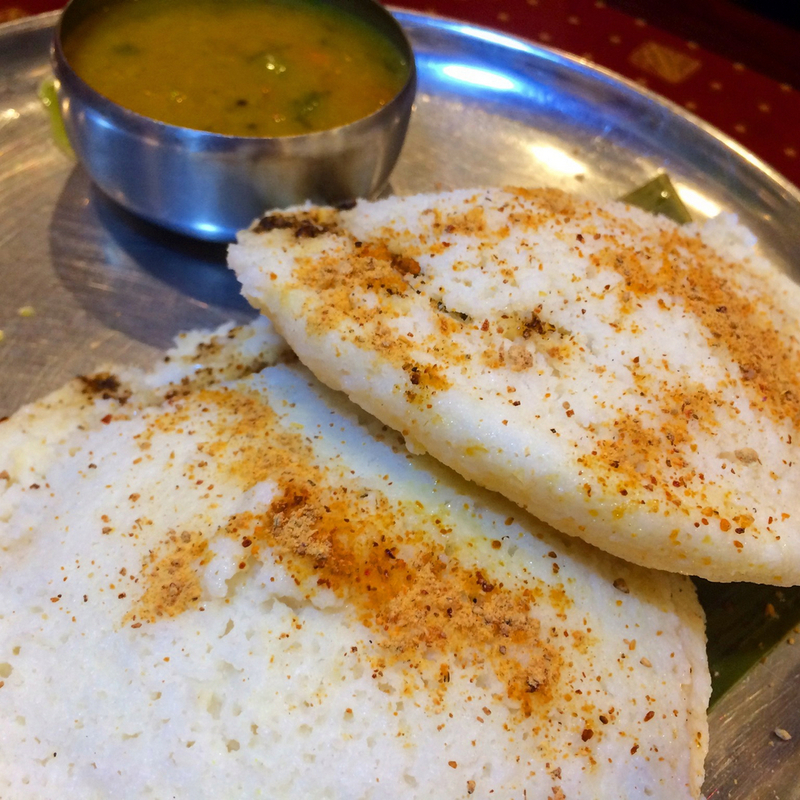 Idli are steamed, puffy, lightly fermented rice flour (sometimes blended with ground ural dal) breads popular for breakfast in India; Guntur, a city in the Indian state of Andhra Pradesh, is the leading producer and exporter of Indian chilies. And indeed, lurking within these airy bites was a splotch of chili masala, not overwhelming but sufficient to elevate the idli from its customary supporting player status. On the side there’s sambar, a lentil soup usually incorporating tamarind, used for dipping, spooning, and general slathering.